1. This is particularly important for massage therapists, healers and energy workers. After each session, always wash your hands with salt under running water. 2. Take a salt and water bath three times a week. Use one to three pounds of regular or sea salt (not Epsom salt) in lukewarm water. Salt Water extracts the diseased energies from your body and energy field. For added effectiveness, add 10 drops each of lavender, tea tree or eucalyptus essential oils. These oils contain cleansing color pranas (energies) that help accelerate the purifying process. Do this before retiring at night because it will make you very relaxed. You may add bath oils to help moisturize the skin. 3. Burn sandalwood incense or sage in your home and office to disintegrate the airborne stress and dirty energies. 4. Chant OM while visualizing waves of brilliant liquid violet light pouring into your Crown Chakra and flushing out all impure energies through your whole body and out of your feet into the earth. 5. For powerful protection, you can perform the following techniques every morning or when needed: Tap your Crown Chakra three times. Take three deep breaths. Visualize a brilliant violet ball of light in front of you. Then, imagine a miniature version of yourself walking into the ball of light and being completely surrounded by it. Verbally repeat three times, To the Supreme Being and all the invisible helpers, thank you for creating a powerful shield around me, my aura and my chakras. In full faith, so be it! 6. Before retiring at night, visualize cords or dirty cables that create a link between other people and your solar plexus area (the soft spot in the space between the ribs and below the sternum). 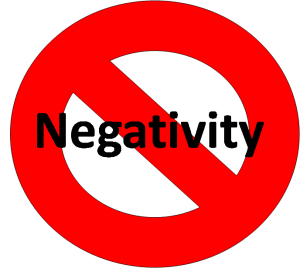 Using your dominant hand, make a karate chop motion with the intention of severing all negative and undesirable connections. There is no need to itemize each event unless there is a particular one that bothers you. Developed by Grandmaster Choa Kok Sui for the Pranic Healing®¨ and Pranic Psychic Self Defense¨ Courses. These are just some of the powerful tools you can use to maintain a state of good health through energy hygiene.